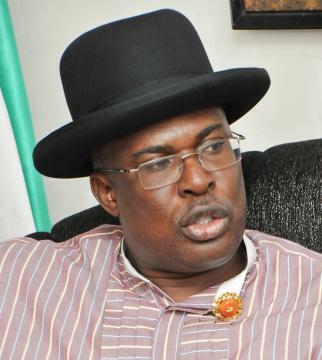 The Timipre Sylva Campaign for the Bayelsa State 2015 gubernatorial election has described as misleading and completely untrue, reports that the All Progressives Congress (APC) Governorship Primary held on Tuesday, in Yenagoa had been cancelled or rescheduled. In a statement issued on Friday in Abuja, the campaign organization maintained that the primary, which was won by Chief Timipre Sylva, was conducted in accordance with the party’s rules and guidelines set by the Independent National Electoral Commission (INEC), and as such the party had no basis to cancel its outcomes. The statement, signed on behalf of the campaign by Mr. Doifie Buokoribo, said: “We want to state categorically that since the primary election was conducted according to the rules and duly won by Sylva, he remains the candidate of the APC in Bayelsa State and any statement to the contrary is mere rumour. “The National Chairman of the APC, Chief John Odigie-Oyegun does not have the powers to unilaterally annul a state primary election. We are even shocked that he allowed his name to be used when he has not even received the report from members of the electoral panel. “Oshiomhole lied that the election was marred by violence. There are pictures and videos to prove that he lied. There are pictures and video to show that Oshiomhole presided over the election and handed over the exercise to the Secretary of the Panel on the excuse that he was going to eat’’, the campaign organisation stated. “It should also be pointed out that only Oshiomhole left the venue of the election and that the remaining six panel members and INEC officials remained in the venue till the winner was announced’’. “Lastly, you cannot abort a baby that has already been born. The APC governorship primary has been concluded in Bayelsa State, a winner has emerged, and the winner is Sylva’’, Sylva Campaign group added.